The marine operations to install the mooring system and the platform started on Saturday 15th September. The PLAT-I floating platform was launched at A.F. Theriault & Son Boatyard in Meteghan River at 6am Tuesday, and was towed across to Grand Passage by local fishing vessels TyKiSha-J and Island Lady G.
PLAT-I tidal energy platform shipped from Connel in Western Scotland to Grand Passage in Nova Scotia. Sustainable Marine Energy’s (SME) PLAT-I tidal energy platform hosting four SCHOTTEL HYDRO SIT 250 turbines has successfully completed the first phase of its testing programme at Connel, on the West coast of Scotland. The Company is now preparing the platform for installation in Nova Scotia. 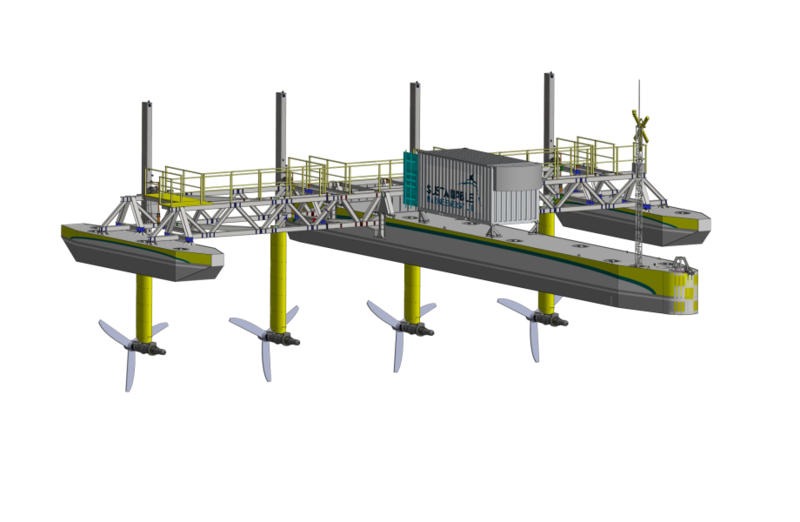 The PLAT-I platform has drawn interest from the media since it's installation near Connel bridge in November 2017. Over the past few months film crews from both BBC Alba and Deutsche Welle have visited the site and interviewed staff from both SME and our partner SCHOTTEL Hydro along with some of the visitors who have been evaluating the technology. Within 48 hours of installation on the 25th of November SME and SCHOTTEL HYDRO teams had completed the first phase of commissioning the PLAT-I system which included first power generation and preparation for the large spring tides during the first week of December. 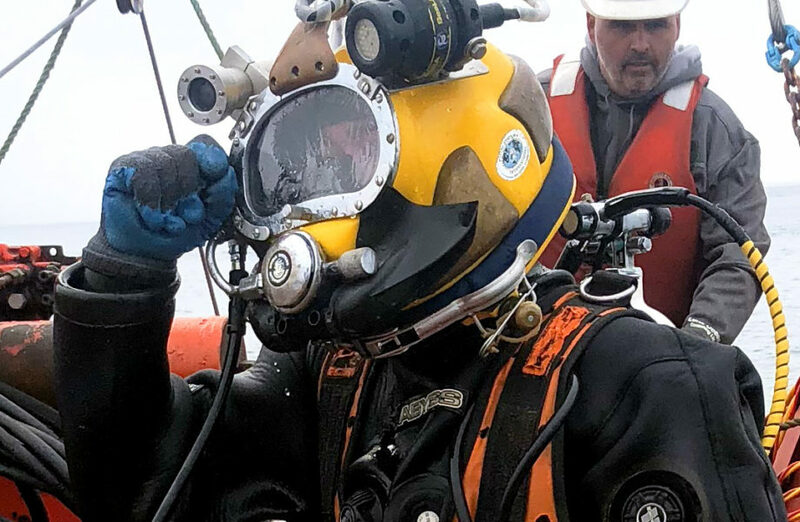 On November 25th Edinburgh-based tidal energy technology developer Sustainable Marine Energy (SME) installed the game changing PLAT-I tidal energy platform at its test site near the Falls of Lora, Western Scotland. 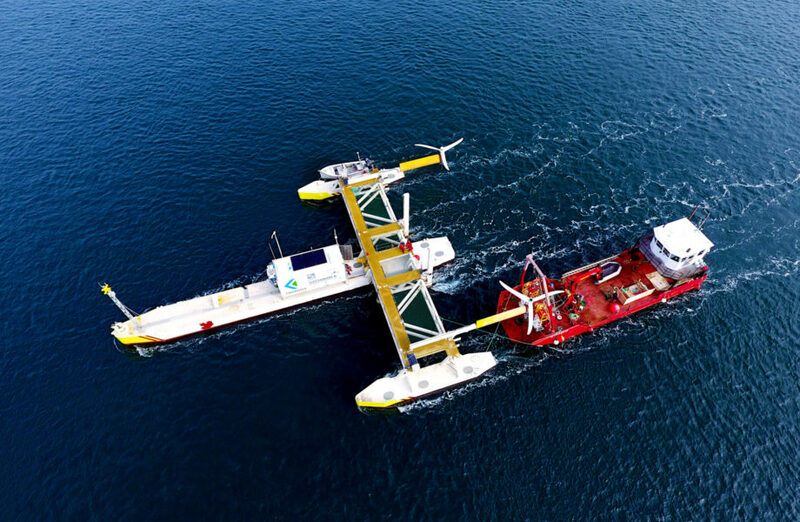 Sustainable Marine Energy (SME) has presented the design of its new floating tidal energy platform, the PLAT-I, which will shortly be making its way out to the Philippines for real-sea deployment.